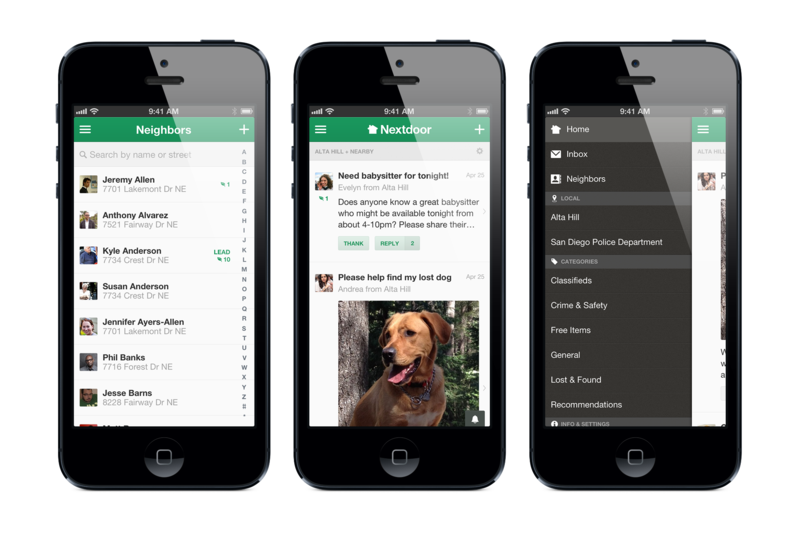 Nextdoor, a private social networks for neighborhoods, has launched an iOS app for its service. In doing so, the company is giving the 12,000-plus communities that are currently on the service more flexibility and options. Previously only available through the browser, Nextdoor has been growing quite rapidly since its founding. According to the company, in its first year, it had signed up residents in 176 neighborhoods across 26 states in the US. In February, there were more than 8,000 in all 50 states. Now, it is available in more than 12,600 neighborhoods. The five cities where Nextdoor is used the most are San Francisco, Seattle, Denver, San Diego, and Dallas. A mobile app had been one of the most popular requests from users, CEO and co-founder Nirav Tolia told TNW. Indeed, already 30 percent of traffic comes from mobile devices, which Tolia says, is proof enough of the need for a native app. Nextdoor functions as a way for people to reconnect with their neighbors. Perhaps akin to a virtual neighborhood watch program, residents can sign up and share their experiences, problems, and advice with those that live right down the street from them. Each user is limited to interacting with those in their legally defined neighborhood, which makes sense because those people share a common bond with that area and are most affected by things that happen there. Fundamentally, Nextdoor’s iOS app is its Web version optimized for the mobile device in a way that users are accustomed to using it. It has a clean design and performs all the same functions as its browser counterpart. Users can share updates about what’s happening in their neighborhood right from within the app while also posting photos using the device’s camera. The app also comes with notifications and real-time alerts. These alerts are useful in times of emergency, whether it’s dangerous weather, police advisories, or something really important. When one is sent, it is delivered both as a notification and by SMS to ensure that it is seen. Cities can also pair their law enforcement agencies with Nextdoor to share important information — cities like San Diego and Dallas already have done so. While the 12,600 neighborhoods Nextdoor extols is a fascinating statistic, what the company won’t reveal is the number of actual users. After all, if a neighborhood has signed up, how many people within the community are actually using it. All the company well say is that there are “hundreds of thousands” of users. So what’s next after releasing its iOS app? Tolia says his company will release an Android app. What’s more, Nextdoor is looking to grow its business internationally later this year. We’re told that English-speaking countries will be targeted first, including Canada, South Africa, and the UK. In 2014, more countries will be added like Brazil, Japan, and Singapore. Many of these countries are ones where there is a lot of citizen demand or the government is heavily interested in implementing the service. Nextdoor has raised $40.2 million in funding from Benchmark Capital, Greylock Partners, Shasta Ventures, and Bezos Expeditions, with $18.6 million from its Series A in 2012 and $21.6 million coming from its Series B last February. Disclosure: This article contains an affiliate link. While we only ever write about products we think deserve to be on the pages of our site, The Next Web may earn a small commission if you click through and buy the product in question. For more information, please see our Terms of Service.